Mon., June 27, 2016, 5:06 p.m.
SEABROOK, N.H. – The cod isn’t just a fish to David Goethel. It’s his identity, his ticket to middle-class life, his link to a historic industry. His boat, the Ellen Diane, a 44-foot fishing trawler named for his wife, is the only vessel pulling into the Yankee Fishermen’s Co-op in Seabrook. Fifteen years ago, there might have been a half-dozen. He is carrying crates of silver hake, skates and flounder – all worth less than cod. 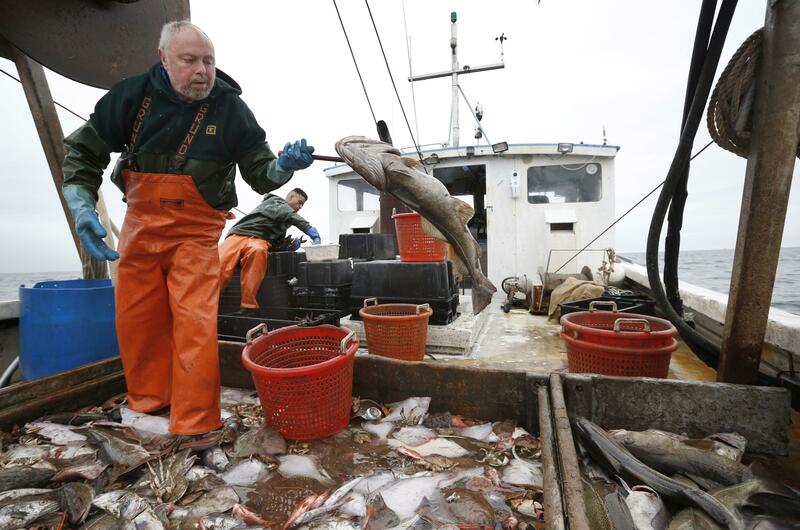 For the fishermen of the northeastern U.S. – not all of whom accept the scientific consensus on climate change, and many of whom bristle at government regulations stemming from it – whether to stick with fishing, adapt to the changing ocean or leave the business is a constant worry. Today, he operates a trawler that leaves from New Hampshire, its nets scouring the Gulf of Maine for fish. But the catch these days is different – with the cod in jeopardy and quotas that limit his ability to catch them at all-time lows, cod fishermen like Goethel try to eke out a living by supplementing cod with just about anything else they can catch. Goethel is making much less money. In the 1980s and ‘90s, he could bring in $120,000 in a year, but is now making about $60,000, without subtracting a health insurance bill over $27,000. He and his wife, who is up every day at 4 a.m. for a far-flung teaching job, haven’t taken a vacation in three years. Retirement isn’t in the cards for the 62-year-old Goethel – at least, not soon. Scientists have said warming waters have indeed motivated some young cod to seek deeper, colder waters – some of which are closed to fishing. Published: June 27, 2016, 5:06 p.m.